Movement: Swipe UP on the screen to jump and grab a ledge. Interact: Double Tap anywhere on the screen when the spy is next to a door or vent open it. Cover: Double Tap to take cover. Firearms: To engage the guards, Touch and Hold anywhere on the screen, drag to aim, then tap the screen with a second finger to fire. Firearms: Tap the screen with two fingers to reload. Stealth: Approach a guard slowly from behind to remain undetected and double tap on the screen to quietly take him out. Danger: The guard is using a radio to raise the DEFCON level. Take him out before he raises he DEFCON level any further. Watch out for events that raise the base DEFCON. IF it gets too high, a Launch Countdown begins. If this happens, get to the DEFCON launch control at the end of the level before time runs out. Intel: To blow open the safe, double tap to place explosive charges. Stolen blueprints are used by C.O.U.N.T.E.R to develop advanced weaponry. Complete sets to unlock new lethal weapons. Officers: Never shoot an officer. When he is the only enemy remaining, he will surrender. Aim your weapon at a surrendering Officer and he will lower the DEFCON level. 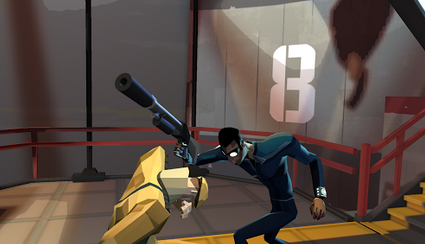 Combat: Double Tap the screen when your spy is facing a guard at close range to deliver a lthal knifehand strike. Formulas enhance your spy's abilities. Complete formula research to unlock enhancements. Your overall goal is to steal enough of the enemy's launch plans to unlock the final mission. Fortunately you can do it manually! To do it manually, just use search function in your hex editor app, enter your current Bullets value in Counter Spy and search for it (choose DWORD) . If you see a large list of results, you need to change the value of current Bullets value in Counter Spy by either consuming them or adding them. Go back to the list and find your new current Bullets value in Counter Spy to the large list and finally you can edit the value.